Mount Apo is a dormant volcano located in the southeast part of Mindanao, Philippines. Its last recorded eruption is not known but the geothermal activities beneath suggests that the volcano is still active. Mount Apo is famous for mountaineers and there are numerous trails leading to the summit. The famous one is located at Kidapawan, North Cotabato while some other trails extend up to Digos and Bansalan of Davao del Sur. It is also possible to traverse to Mount Apo from Mount Talomo located in Calinan, Davao City. On a clear day, Mount Apo, as well as Mount Talomo, is visible from Davao City. 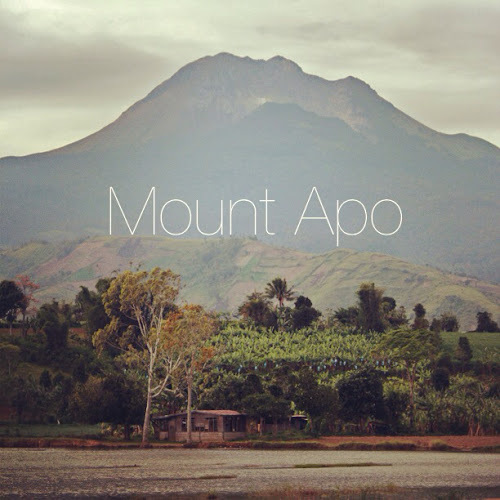 One day, I will conquer Mount Apo. Nothing is impossible. Ahh... Mt. Apo. Forever ko na lang sya pangarap. I think my bones are already too lazy to fulfill this dream. LOL. Ok lang yan Gay. Naka around the world ka naman eh. I been there twice...the highest mountain in the philippines. Mapupuntahan ko na rin ang Mt. Apo on July:) Excited na akooo. haha! wow mount apo, never been there ever since hahaha i always dream na makaakyat sa bundok kahit isa lang, hope time will come na ma achieve ko to. Keep traveling po RM and you inspire us to love travel and explore in the philippines.